Last November I ran the 100-kilometre Haney to Harrison Ultra and participated in National Novel Writing Month, or NaNoWriMo, for the first time. A month of ultrarunning and ultrawriting. Well, that combo is on the calendar again in 2011, though the ultra will be 20K shorter, so perhaps the novel will be 20K longer:-). One of the great things about NaNoWriMo is that local community liaisons -- also participants -- organize get-togethers, called write-ins, at libraries, independent bookstores, cafes and coffeeshops so writers can share the franctic experience of completing their daily word count (an average 1,667 words a day for 30 days in a row). The closest NaNoWriMo region to me, living in Squamish, is Vancouver. But as a time-strapped writer trying to squeeze out 50,000 words in a measly month, I didn't have the time or energy to make the trek to attend any of these last year. So, this year I asked the Squamish Public Library if they'd be willing to open their doors for local NaNoWriMos next month. Nancy Warwick, the library's adult program coordinator, enthusiastically agreed. 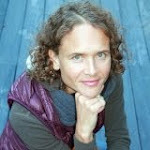 "We love to support literacy-driven activities and local writers as much as we can! This event ties in nicely with our mission statement; to encourage a lifelong enjoyment of reading and learning by providing equal access for all to local and global resources in a welcoming environment,” Warwick said. 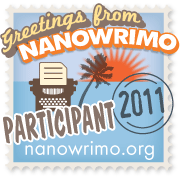 To join, register at www.NaNoWriMo.org. Come write at the Squamish Public Library on either Nov. 6 and/or 13 from 10am to 1pm so we can complete our daily word count together. I might be a little stiff and tired on November 6 as my race, the Whistler 50 Ultra, is on November 5. The working title for my next novel is The Sub-3 Marathon. See also the Squamish Writers Group site.